We are ready to burn-em-up! maybe make some of these for ‘wrapping’. Love your candles and the poem is so sweet! 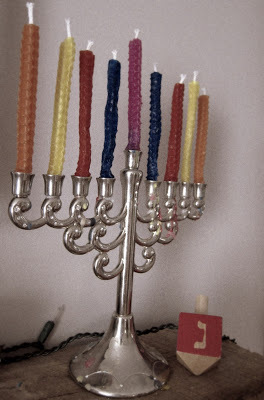 I can't wait to see more pictures of your Hanukkah celebration! yes! even Leviah (3) was LOVING the rolling. I couldn't believe how quickly we had them all done! I really want to do this with my kids. The candles look really nice! Thank you for sharing.